Belimo Aircontrols is an integral part of Belimo Holding AG (Belimo.com), a publicly held company headquartered in Hinwil, Switzerland with business units in the Americas, Europe, and Asia Pacific. Belimo Aircontrols (USA) serves customers throughout the United States, Canada, and Latin America. Belimo focuses solely on innovative technology in damper actuators and control valves. Since its inception in 1975, the major developments in HVAC actuator technology have come from Belimo. Belimo products help create comfort, safety, and efficiency in buildings. Their customers’ satisfaction and loyalty have made them a leader in HVAC throughout the world. Belimo faced a high demand for product training coming from their external customer base. This community of architects, engineers and maintenance personnel required technical training on Belimo product specifications. Belimo saw eLearning as a great opportunity make customer training more convenient, especially because many of their competitors limited training to periodic in-person sessions. The learning solution needed to be structured in a cost effective manner, so that Belimo could provide this training at no incremental cost to their customers, reinforcing the customer service reputation that made Belimo a leader in their industry. Belimo also wanted a training platform that was flexible enough to accommodate not only customer training, but employee training as well. Their manufacturing and operations staff required an efficient mechanism for OSHA training delivery. Belimo also had an ambitious employee development program in a wide range of categories (Computer Proficiency, Communications, Customer Service, Leadership, etc.). They needed a solution which could deliver training to uniquely different audiences but deliver that training in a single platform to minimize the administrative burden. Belimo chose the eSSential LMS because its flexible architecture could support two distinct user experiences for customers and employees. eLogic delivered two separate LMS portals and assisted Belimo in setting up organizational hierarchy so training could be assigned to the appropriate groups based on need and job function. In addition to the eSSential LMS, Belimo partnered with eLogic to accelerate the development of their eLearning catalog. eLogic’s Learning Solutions Team leveraged its relationships with leading content providers Mindleaders and Vivid to help Belimo procure a library of over 800 eLearning courses in OSHA and General Business training. Belimo also engaged the eLogic Team to develop a series of interactive eLearning modules related to Belimo product specifications that would be delivered in the LMS. The Belimo University launch has been widely successful with exceptional user satisfaction feedback. Since launching in 2009, Belimo has grown its eLearning catalog to almost 1,300 courses. 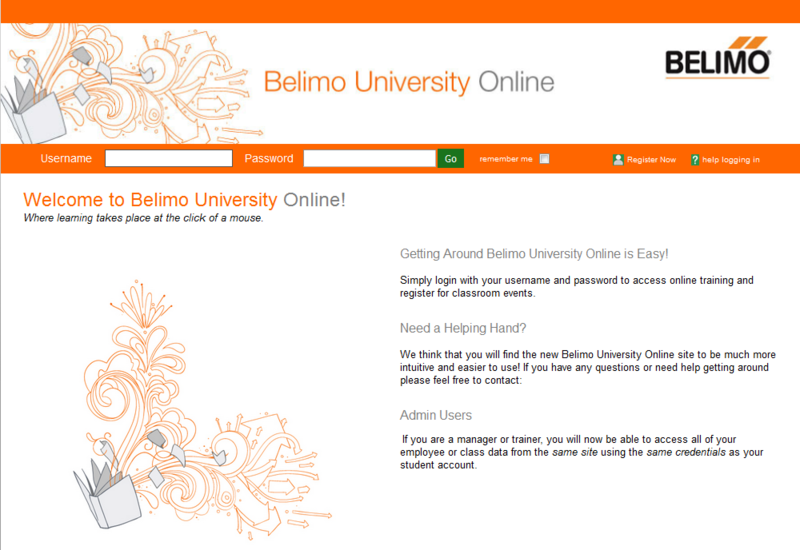 Belimo has also used eSSential to manage 1,324 instructor-led events. The combination of instructor-led and online courses has resulted in over 29,000 trainings completed through the LMS as well as significant cost-savings for the company. Implementing a blended learning approach has increased customer satisfaction and helped Belimo mitigate risk by automating OSHA training compliance internally and externally.